Employee Benefits for Businesses | CDA Inc.
CDA Inc. is out in front of the market with a full spectrum of solutions for employer groups of all sizes. Capable insurance guidance, online enrollment, and claims analytics are the foundation of any great broker service, and CDA, Inc. excels in those functions. We have also anticipated client demand by offering best-in-class compliance services, HR support, and benefit communications. Across the continuum of service we advise, enroll, and support our clients with solutions delivered by our long-term employees and by closely affiliated partners who share our passion for quality and customer service. Offering a benefits package that gives your company the competitive recruiting advantage you need in this job-seekers market? Selecting the right mix of benefits to drive employee satisfaction and retain your most valuable employees? Controlling the increasing costs of your benefits package? 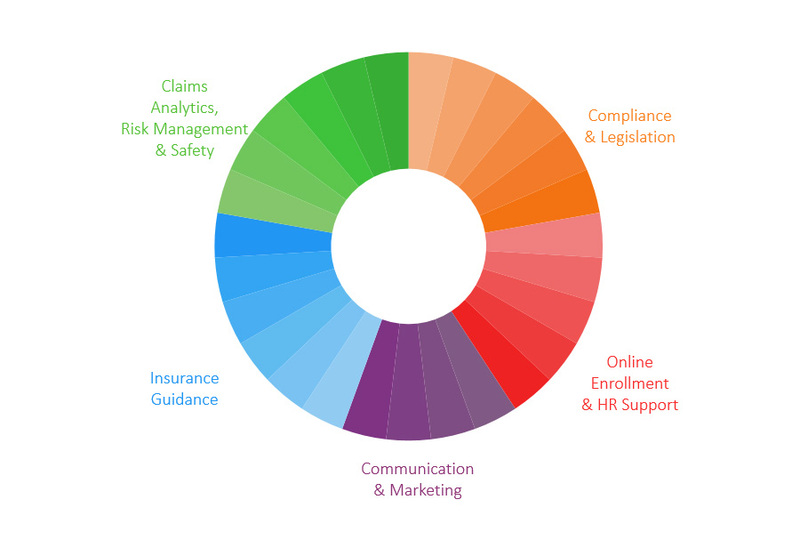 Managing the complex compliance requirements in order to minimize risk of penalties? Upgrading your employees’ experience when they utilize their benefits? Getting the most from your broker relationship while freeing up productive time for your administrative staff? We at CDA Inc. can counsel you on best practices to optimize the benefits your company offers while putting measures in place to control costs. Got questions about group insurance? Give us a call at 770-449-7369 or learn more on our FAQ page. Pay for what you need- education or enrollment service or both. Download our Service Agreement and Census Form to get started today!